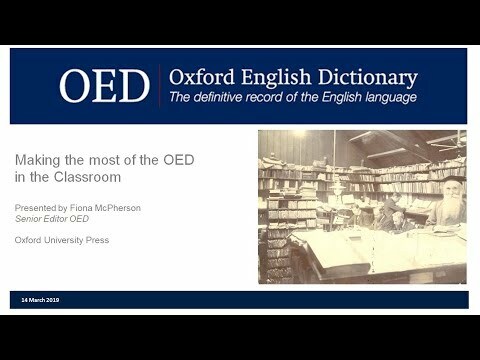 Katherine Martin, Head of U.S. Dictionaries, and Fiona McPherson, Senior Editor – OED New Words, presented about exploring the OED to make full use of its resources for research and teaching. 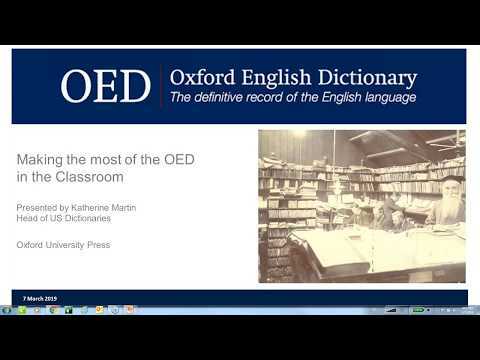 They took us on virtual tours of the OED, showing how to unlock the potential of the historical and linguistic data in the dictionary’s entries. Katherine and Fiona also provided an overview of some of the OED teaching resources available. Please note: Two sessions were presented, one with examples more relevant to North America and another to the UK. They provide, however, essentially the same information.